In February of 2014, this Australian bassist joined a punkpop ensemble called Little Sea. During their rise to fame, he and his bandmates opened for the popular Australian band 5 Seconds of Summer. In 2013, vocalist Andrew Butler began posting YouTube covers of pop songs and eventually formed a band that became known as Little Sea. The group's debut single, "Thank You," kicked off a 2014 Australian national tour. After releasing an EP titled Wake The Sun, he and his bandmates received a contract with Universal Music and, soon thereafter, switched to the Sony Music label. He was born and raised in Australia. By 2014, he had an online 'family' that included an impressive 11,500 Twitter followers. 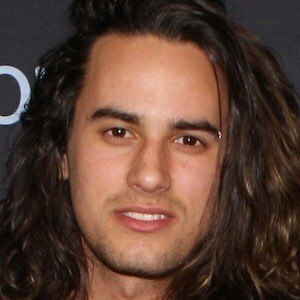 He and guitarist Oliver Kirby both became known for their work with Little Sea.